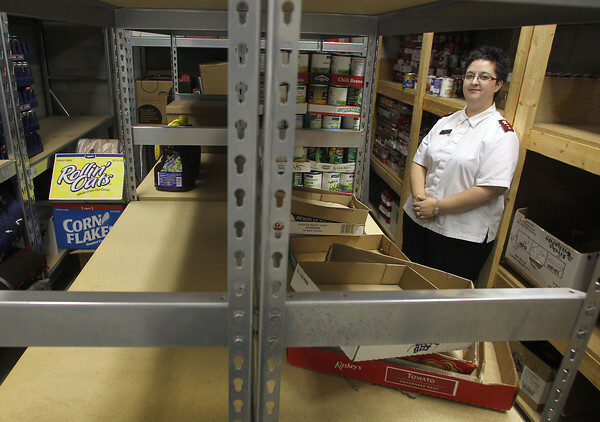 Salvation Army Captain Roxanne Spencer (cq) stands in the organization's food pantry, which, along with many others in the region, is short on food as donations drop and demand increases. The food pantry is in need of items such as canned soup, tuna, peanut butter, complete meals in a box and pasta. "...you can't eat green beans for a month straight," she said.